Back around 2010 or so, I discovered the world of “designer boardgames”. If you don’t already know about them, they’re very, very different from “boardgames” most of us are used to finding stuffed in the top shelves of our closets – the Risks, the Monopolys, the Sorrys. Designer boardgames were almost the opposite of the old, shallow and predictable experiences many of us grew up associating boardgames with. These were fresh, challenging and new little machines – machines that were designed, and they proudly bore the name of the designer on the cover as proof of that fact. Some of these games interested me more than others. The most system-y ones were referred to by people as “Eurogames”, so I tended to focus on those. I got really into a bunch of these games, and even found some digital versions which let me play whenever I wanted! It was a very exciting time for me. However, in more recent years, I’ve found my interest in getting new physical boardgames on a sharp decline. I’d much rather just play many of these games on the digital versions, single-player, or against bots. It seems like when I do, I’m getting a lot of the stuff I love about these games, only faster, and kind of more pure. Today, I’d like to unpack why that is, exactly, and make a recommendation to Eurogame designers. In general, “Eurogame” is a term that loosely refers to a system-oriented, often highly deterministic boardgame, usually coming out of Europe (even more usually out of Germany, specifically). In this article, I’ll be talking about a specific kind of Eurogame – the “machine-builder” types that make use of a worker placement or role selection mechanism. 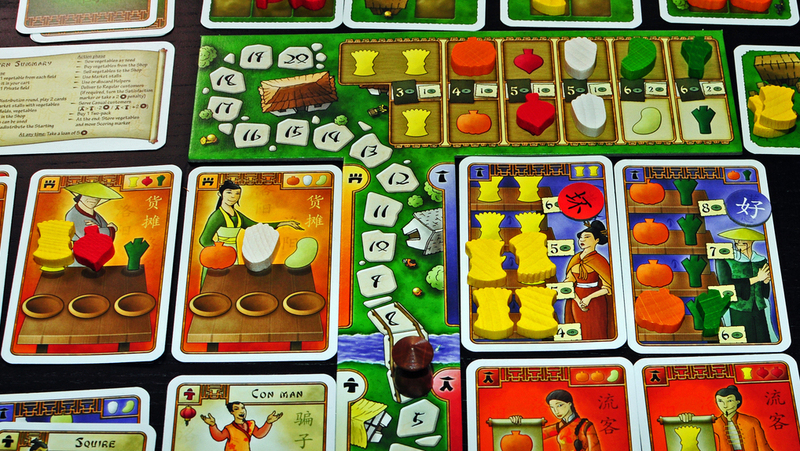 Some popular examples of games that do meet this criteria are Puerto Rico, Agricola, and Caylus. These kinds of games stand in stark contrast with so-called “Ameritrash” games, which tend to rely heavily on hard output randomness such as dice-rolls to support some kind of fantasy simulation, and tend to be more closely related to Dungeons & Dragons as well as hex-and-counter simulation wargames. These kinds of Euros are also far less “interactive”, player to player, than games that use area control, bidding, or other inherently-multiplayer mechanisms. Just a quick side note: even though not all or even most Eurogames meet the criteria for this article, I’ll be using the word “Eurogame” as a shorthand. Overall, as far as I’m concerned, Eurogames currently represent the cutting edge of strategy game design. I consider designers like Uwe Rosenberg and Reiner Knizia to be hands down by far the best game designers who walk the planet today. However, that’s not to give them too much credit, because I also think Eurogame designers are more or less also the only designers who understand the values of the strategy game form. They are not concerned with presenting a story, or a fantasy simulation of any kind, because that’s not what strategy games are about. They are not interested in delivering a social message, and they’re not interested in pushing the boundaries of computer graphics technology. They are simply trying to make robust little machines that present players with interesting decisions to make. I say “simply”, but of course this is actually a monumental task. One of the more accurate criticisms of Eurogames (at least, the type of Eurogame I’m talking about) is that they tend to have very little player to player interaction. Unlike wargames or even abstracts wherein you’re typically removing the opponent’s pieces from play, Eurogames tend to deal more in a “race” dynamic. Most Eurogames feature a complicated game system that rewards players with “victory points”, and at some point, the game ends and a winner is announced based on the number of victory points scored. “Multiplayer solitaire” is the phrase often derisively aimed at many Eurogames. “Racing”, in general, is a mechanism more suited for contests than it is for games. This is because it’s linear and generally un-interactive. Many of us have had the experience of getting an exciting new racing game and playing the hell out of it. Then you invite some friends over to play with you, and it’s a miserable experience because you’re halfway around the track from where they are. While it’s true that any skill-based game has a problem of skill deficits, in races it’s particularly bad because of the inherent disconnect between the players. The only racing games that tend to kinda work are super-random ones like Mario Kart which add all kinds of rubber-banding to make sure that your skill isn’t being measured too much. The same problem tends to affect Eurogames. Let’s take the game Agricola, for example, a flagship Euro designed by Uwe Rosenberg. All players are basically just racing for victory points in this game, without much regard for what other players are doing. Yes, there are the occasional times where you’ll take an action that prevents someone else from doing what they wanted. There might be a bit of wood that you want, and that the other player also wants, and you took it, and now he can’t take it. I’ve heard people argue that this is part of the strategy of Agricola – you should be paying attention to what the other players are doing, and take advantage of their strategies. Many players are better than me at the game, and so if I were told by an expert player that this is in fact what you have to do to win, I have to accept that that’s the case. Maybe optimal play does indeed involve doing that. However, I think doing that is also contrary to what these kinds of games are inherently all about. It’s really easy to modify the rules of a Euro to make it single-player, and many Euros even come with a one-player “mode”. This is not the case for more interactive multiplayer games like Outwitters or chess. Turning these games into single-player games would require a lot more game-design legwork. If it is indeed the case that optimal play of Agricola is some “constantly interactive, trying to starve each other out of needed resources” type of affair, then I think that highlights a serious design issue. This is because the core, central idea of Euros is “building a machine”. You take elements from the middle, buy them with resources, and add them to your machine which makes it bigger and more productive. It produces more resources, and the loop continues. This machine-building thing is really what they’re all about. Because that’s the case, there isn’t really any direct connection between what I’m doing in a Euro and what my opponent is doing. It’s more that we’re just both pulling from the same “bank”, and once in awhile there is some very indirect connection made through that bank. Mostly, though, we’re just looking at our own little boards and doing our own thing. Now, a lot of people might be saying, “but that’s what’s so great about Euros!” Many people feel that Eurogames, as compared to much more direct Ameritrash-style games or most multiplayer videogames, are much more strategic due to their indirectness. Well, yes, that is true. The directness of StarCraft or Street Fighter are major game design liabilities for those games. Even chess, you might argue is “too direct”, which is part of why it often ends up a “look-ahead contest“. However, there’s something in between “completely in each other’s face constantly”-direct (as is the case in Street Fighter) and “almost never interacting at all“. The “almost never” is really the key problem here. If it was “actually never”, then we’d be talking about literal multiplayer solitaire, which I’m not sure exists (I’ll get back to this in a second, though). In my experience, playing a Euro multiplayer means that 70 to 100 percent of the time, you’re literally just sitting there doing your own isolated thing. Then just “sometimes”, the thing you were doing was unwittingly interrupted because another player took the thing you were planning on taking. It’s not strategic or clever. It’s just annoying and disruptive. Or if it isn’t a random, unwitting “steal” of your resources, sometimes it’s a brutal “knife fight” scenario where both players are just taking resources they don’t want because they don’t want the other player to be able to build anything. End result: two players who built nothing in a game about building stuff. A counter-argument is commonly made that the reason Euros should be multiplayer is that they’re “social”. Are they, really, though? If I’m trying to play Agricola or Puerto Rico, and one of the players is trying to talk or be social, I find myself mostly annoyed, because I have so much crap to think about. These games are far too dense to be good social games. Party games are great at facilitating social-fun, because they’re light as a feather. There’s almost nothing going on in the game so there’s plenty of room for players to call each other names and whatever. Another huge issue with Eurogames in multiplayer situations is the sheer amount of stuff you’re supposed to be keeping track of. Okay, so I already told you Agricola has a single-player variant. This variant modifies very few rules from the normal multiplayer game – you use some different cards and there’s a couple other modifications, but that’s about it. The experience is largely the same. And in single-player mode, the game is decently complex. It’s complex enough so that the average person can play it at least a few dozen times without completely solving it. You have a hand of 14 cards to combine together, plus a dozen or more actions that come out on the board, and another dozen or so building cards you can build, and a bunch of different resources to manage, etc. It’s a *lot* of stuff to think about! Now imagine playing a two-player version. Okay, so now I have to think about all the same stuff, except now I also have to keep track of the opponent’s board. At this point, it’s getting to be a bit crazy, but it’s still theoretically manageable. Now understand that Agricola supports up to five players. There is no way anyone can keep track of that much crap happening everywhere. Even for a four-player game, the sheer amount of stuff going on, resources disappearing suddenly, means the game is totally unplayable in terms of strategy. All you can possibly hope to do is look at the game state on *this turn* and make the best decision available. The point is, if a game system works at one-player, “multiplying that up” isn’t going to work. Any game system is going to have some optimal number of players, and for Eurogames, that number is almost always one. My Advice: Focus on Single-player! I think one of the reasons we don’t see a lot of “primarily single-player boardgames” is because the concept of taking out a boardgame, laying out all the pieces and playing it by yourself is… very strange to most people. I’ve done this myself and it’s fun, but it’s kind of a weird feeling. In the past few years, however, there have been an increase in the production of “digital boardgames”, primarily on iOS, and that is a fantastic place to put Eurogames in the future. The iOS versions of Agricola and Le Havre have gotten tons of play on my iPad. 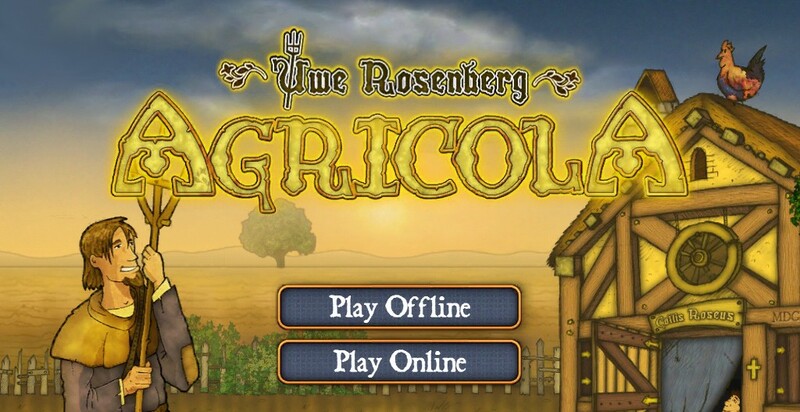 Agricola even has a sort of “metagame” campaign mode, which interestingly also existed for the tabletop version. Playing these games single-player is vastly better than multiplayer because “other players” don’t add anything to the experience. If there must be bots, I want them to be as predictable as possible so that I can factor their actions into my machine-building. If you need there to be other players, use bots, and make them as predictable as possible. Apps like Tropic Euro (Puerto Rico) and Androminion (Dominion) have gotten hundreds or maybe even thousands of plays from me, because they allow me to explore the actual, understandable gamespace of those systems. Trying to guess what a bot is going to do isn’t part of what makes Puerto Rico Puerto Rico… and frankly, this applies to players as well. I can’t help but wonder how much better these systems could be if they just really focused on being single-player. If they focused on having a great single-player metagame, or on just building rules that are designed around being single-player and tuned for single-player, as opposed to the single-player version just being some “mod”. With mobile games being such a huge part of gaming, it’s kind of sad that we don’t have a huge, booming generation of strictly single-player strategy games that are as deep and robust as Eurogames are. I’m looking forward to more designers like Knizia and Rosenberg focusing their efforts on some really strong single player strategy games. Enjoyed this article? Consider becoming a patron on Patreon.com!